In the following sections, we sort our SMID cap universe by Q2 revenue and earnings growth/surprises, as well as volume and price changes where they are reported, and color code for stock attractiveness per the valuation schematic shown below. 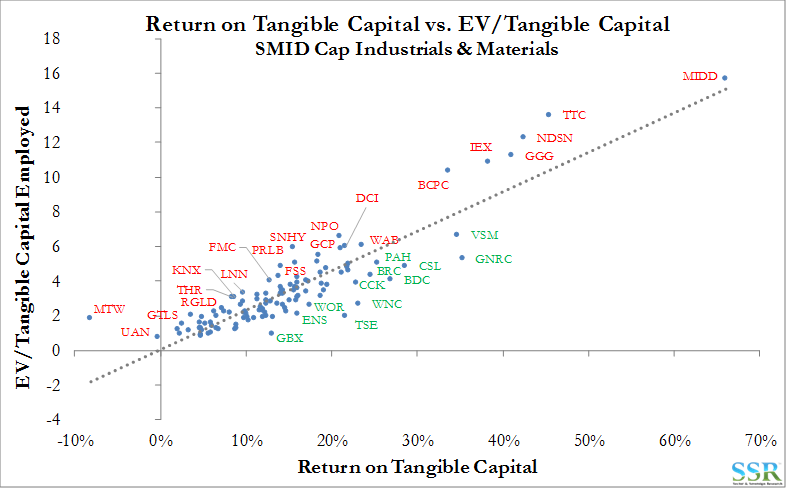 We use this chart to provide a valuation landscape for the SMID universe, where many of the companies lack sufficient history to generate the normal valuation models that underpin much of our large cap work. 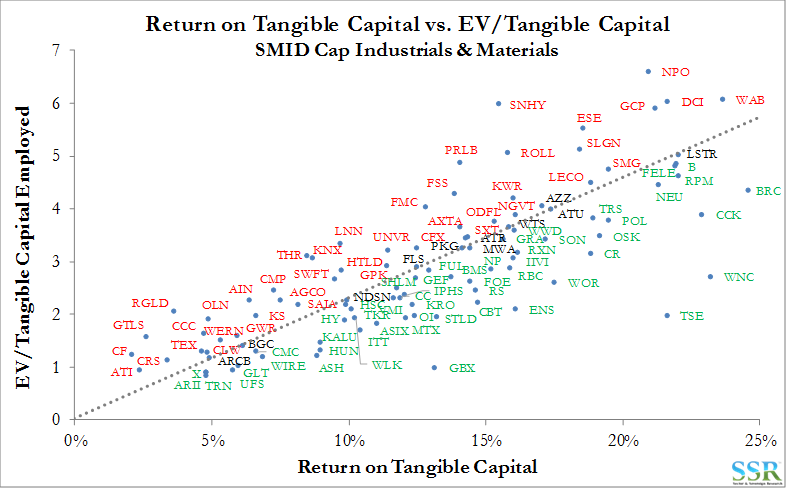 Here we are comparing return on tangible capital to an enterprise value multiple of the tangible capital base – stocks above the line of best fit are over-valued relative to peers and returns, and vice versa. 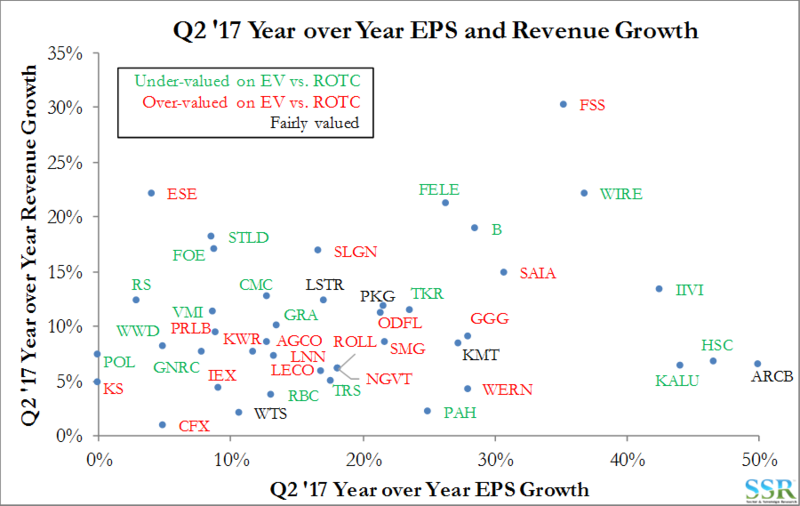 Exhibit 2 shows the full universe with outliers labeled and Exhibit 3 offers a closer view of the cluster of companies in the 5-25% ROTC range. Exhibit 4 shows volume and price changes in Q2 for the companies that disclose this information. 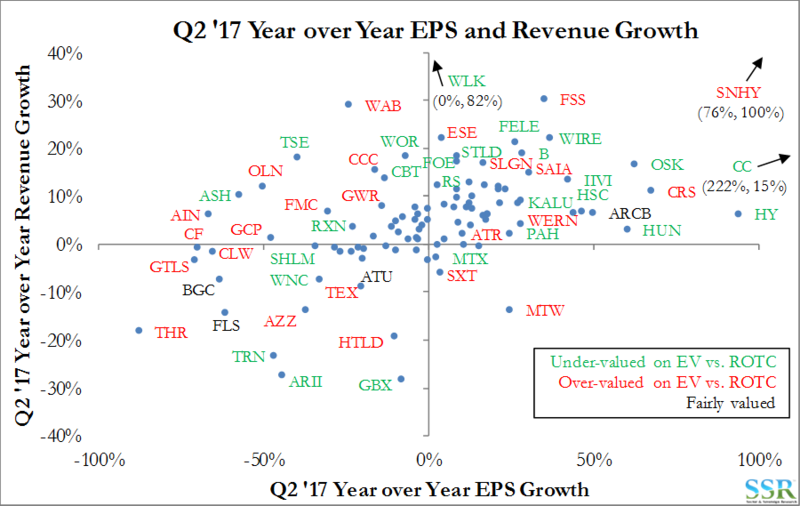 There are several attractively valued companies sitting in the top right quadrant, showing volume and pricing gains. 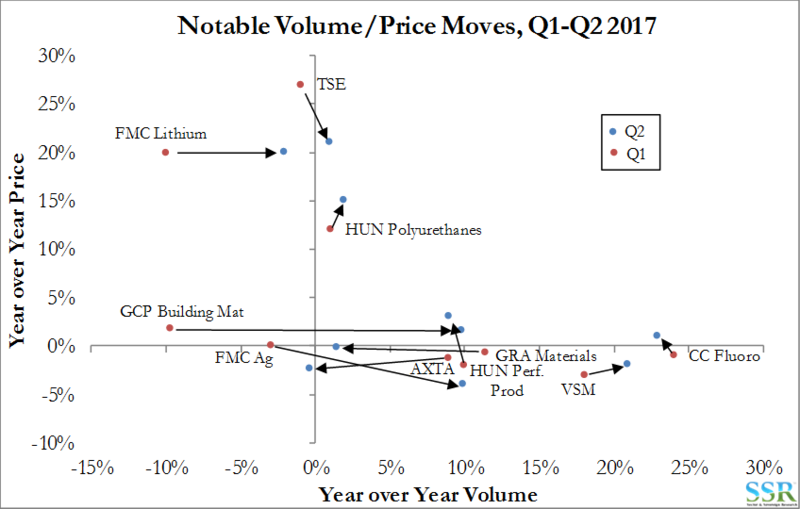 The trend from Q1 to Q2 is shown in Exhibit 5 – TSE, VSM, and several segments of HUN look most positive; AXTA and GRA Materials most concerning. 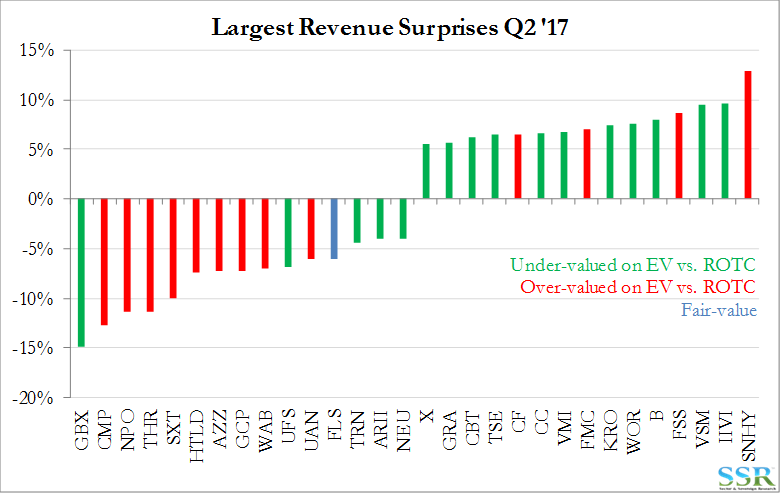 The average revenue surprise in the SMID space was positive again, for the third consecutive quarter, but at a less significant level than in Q1 ’17. 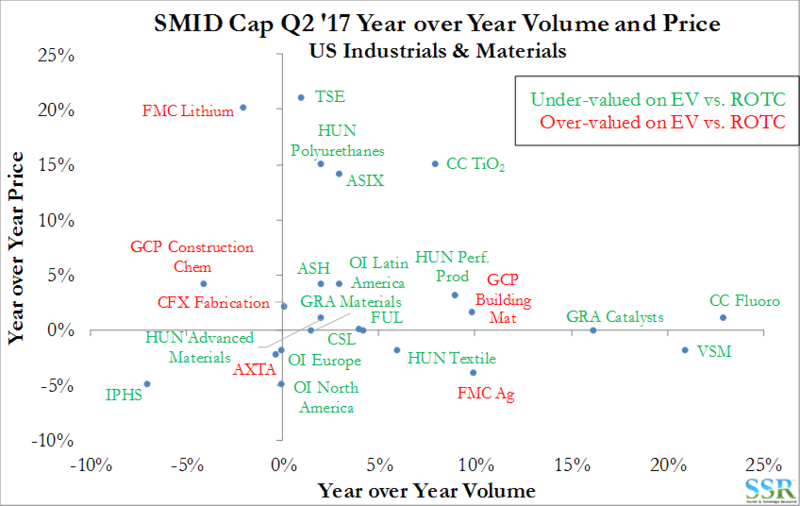 Top line beats in the SMID space continue to lag those seen in the large cap arena, suggesting a more robust growth picture internationally relative to the US, where many of these SMID names make the bulk of their revenues. 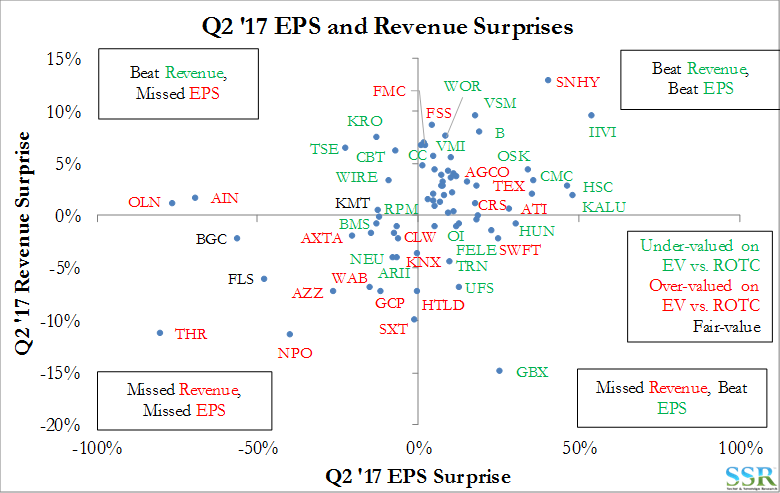 Exhibit 6 shows some individual outliers and Exhibit 7 shows the 15 best and worst revenue surprises. There are plenty of attractive names among the companies with the most significant top line beats – VSM and IIVI stand out. Conversely, there are several expensive screening names with apparently poor sales momentum.